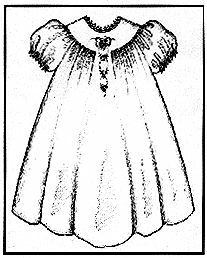 This little dress pattern comes with short sleeves in a round-yoke style. Modeled after a 1930's garment with elegant simplicity. Size 1-4 included in this pattern.